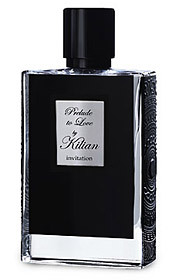 Prelude to Love is one of the six original fragrances released in 2007 By Kilian. It’s a part of that expensive lacquered box collection that costs an average of $200-and then some for a thrill. So since this fragrance humbly requests that I throw down the cash for it, it should wow me. I was mostly fascinated with how beautiful Beyond Love’s tuberose was so I decided to slap on Prelude to Love and see how it rocked the boat. In Bottle: Sharp citrus and pleasant slightly sweet orange blossom with what smells like fresh dirt. Applied: Sharp citrus with orange blossom and slightly bitter and green floral. Prelude to Love is a notch stronger than Beyond Love but it’s also not to my liking. The opening is just too sharp for me and a bit too earthy. The mid-stage starts up with a more earthy note. I couldn’t wait to get the top notes away because I didn’t really appreciate their earthy, bitter, sharp brightness. As the fragrance ages though, I noticed the citrus calms down a little while the earthiness continues its crusade with a bed of miscellaneous green florals and a pleasant spice and dryness. The dry down is even earthier, greener but lacks the sharpness the opening top notes had. This scent smells spicy from mid-stage to dry down. It’s a green, earth scent. Like digging up vegetables from your garden. Extra: Prelude to Love was composed by Calice Becker. She did some of the other By Kilian fragrances too like Taste of Heaven and Pure Oud. Design: Like Beyond Love, Prelude to Love is bottled in a rectangular lacquered bottle and will be presented to you in a nice cushy box complete with a lock and key. A little over the top? Maybe, but for $200 per 50ml, you might as well take the bonus features too. Notes: : Lemon, mandarin, bergamot, lavender, freesia, neroli, rose, iris, cardamom, pink pepper, ginger, orange blossom, leather, musk. So far I’m not enchanted enough by this collection and Prelude to Love is a bit too earthy for my tastes. I do prefer Beyond Love because it’s more to my tastes. Reviewed in This Post: Prelude to Love, 2007, Sample Vial. This entry was posted in earthy, kilian, Reviews By House and tagged by, by kilian, earthy, fragrance, hennessey, kilian, love, perfume, prelude, review, scent. Bookmark the permalink.